SAS has decided to sell its Finnish subsidiary Blue1 to Dublin-based CityJet and sign a lease agreement with the Irish regional airline. The deal includes SAS leasing eight new Bombardier CRJ900 jets via a so-called ‘wet lease’, which is when one airline provides aircraft – including crew, maintenance and insurance – to another airline. “We are looking forward to working with CityJet to further expand our regional route network and thereby strengthen SAS’s offering to frequent travellers,” said Rickard Gustafson, the CEO of SAS. 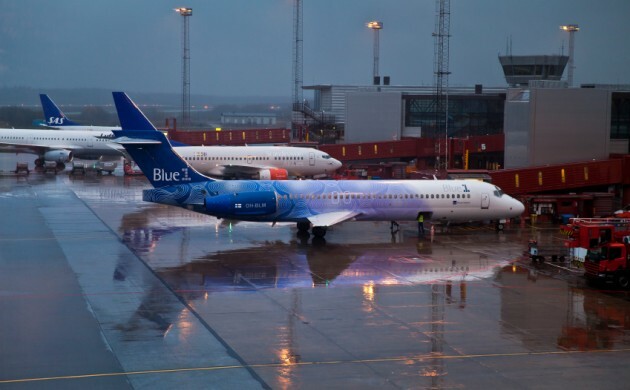 The decision comes in the wake of SAS looking into the possibility of making Blue1 an independent operator of regional aircraft that can transport 80-100 people. This was found to be impossible without enlisting a partner since SAS transferred 12 Bombardier CRJ-900 aircraft in March as part of its deal with Cimber. SAS expects the deal with CityJet will be more cost-effective for the airline and give it more flexibility.